The capital offers the visit of various animal parks for young and old. From mammals, to birds to fish, all categories of animal families are represented. Here is a list of places to visit and discover alone or in a group. One of the largest animal parks in Paris is the zoological park of Vincennes in the 12th neighborhood. On 14.5 hectares and 4km of course, this park offers the visit of 5 biozones: Madagascar, Europe, Guyana, Patagonia, Sahel-Sudan with zebras, sea lions and baboons for example. This park was renovated after three renovations and reopened in 2014. The menagerie of the Jardin des Plantes proposes a route and discoveries of different animals (1800 in total!) And is the oldest animal park since it dates from the 18th century. The aquarium of Paris is located in the Trocadero gardens and has 47 pools with 10,000 fishes and 37 sharks! This is the biggest shark basin in France. In addition, the aquarium offers interactive shows and entertainments and has two movie theaters. 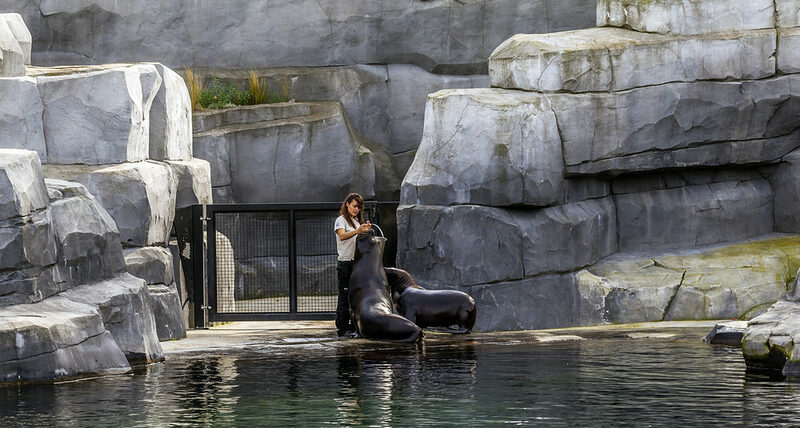 The tropical aquarium of Porte Dorée in the 12th neighborhood offers 5000 animals of fresh water and sea. The goal is to preserve the aquatic fauna. The building was renovated in 1986. The Sea Life aquarium is located to 30 minutes from Paris at Marne la Vallée. In the center of Val d’Europe, it offers the visit of 50 basins on a surface of 2500 square meters with stingrays and other sharks as well as games-courses for children. The Monkey Land in Lumigny in the south-east of Paris is a space where monkeys and birds are exposed on a surface of 20 hectares.